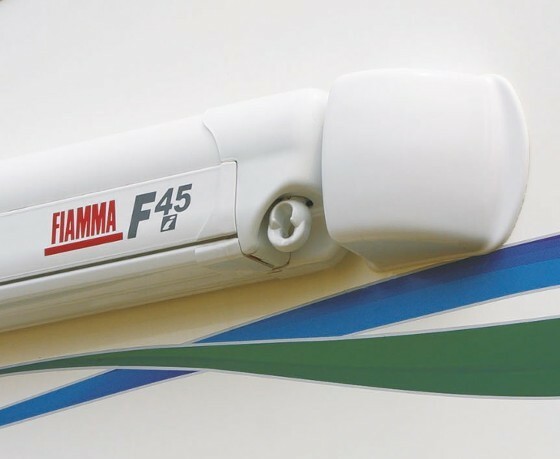 Fiamma Spoiler S is a plastic wind spoiler to be used with Fiamma F45 and similar awnings from other brands installed on flat motorhome walls. 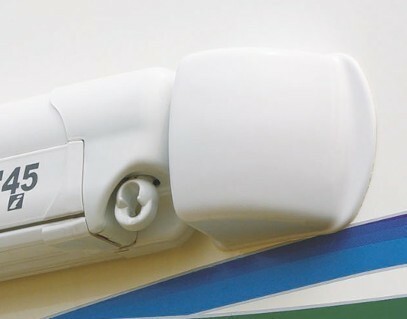 Spoiler S offers protection against damage to the end of the awning case and reduces noise while travelling. Gives a neater finish and improved wind resistance and can be attached to right or left side of the vehicle. Easily fixed in place with Sikaflex or similar adhesive. Construction: ABS PLUS with coextruded UV protection. Installation: with suitable silicone sealant.